How to Troubleshooting Print Issues Partial Print, Cropped Pages - for this time we will share about How to Troubleshooting Print Issues Partial Print, Cropped Pages, before we write this article, earlier today we arrivals patients a mothers come in our place printer, printer devices Sue more problematic with ink does not come out, said the mother of the owner of the printer ' Mas this, my last printer's ink fill my exhausted but can't even make kok print ... , the result is empty it mas, when I fill the already full up won't fit anymore '. 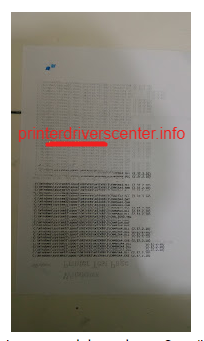 Then I check printer print results turned out over empty but central down there writing although also not perfect like the picture below. If sendainya you guys experience the exact same thing as the case above, the friend does not need to be confused. 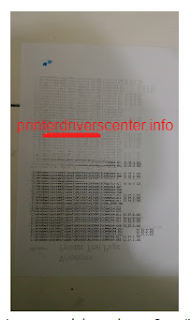 to cope with it is so easy, that we reduce the content a little ink cartridges with an aspirated, can from the top or the bottom, then wipe with a tissue surface of the head until clean, then reinstall the cartridges and please try to test print will succeed, God willing, this way the printer doctor practices have been right in our place and succeed.